What if you said: “Have you ever thought about computer science or looking into the technology classes that are offered? Have you taken a class like that before?” Bingo. What if your daughter knew taking technology classes now would present an array of opportunities in college and maybe even help her land that first career? Would you encourage her to try one? Probably, because seeing one’s child succeed after leaving home is a rewarding feeling for most parents. 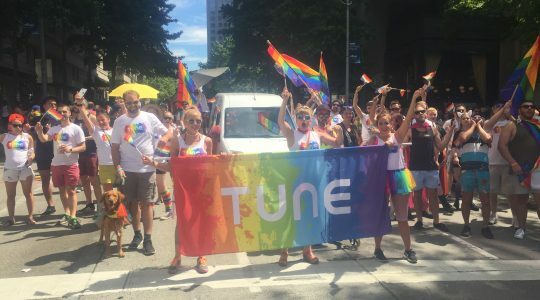 We’re in the midst of our second year of the TUNE House Roadshow, a program where the TUNE House scholars visit high schools around the greater Seattle area and share their journey of discovering technology to young female students. 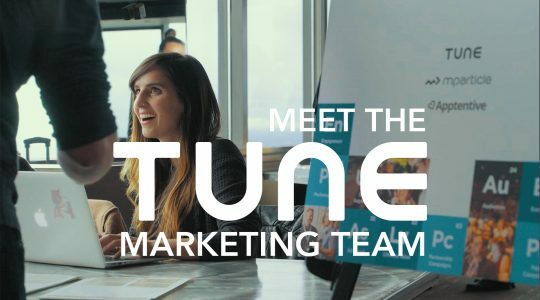 Spreading awareness and educating young females about career opportunities in technology, while encouraging them to enroll in a technology class, is what the TUNE House Roadshow sets out to do. 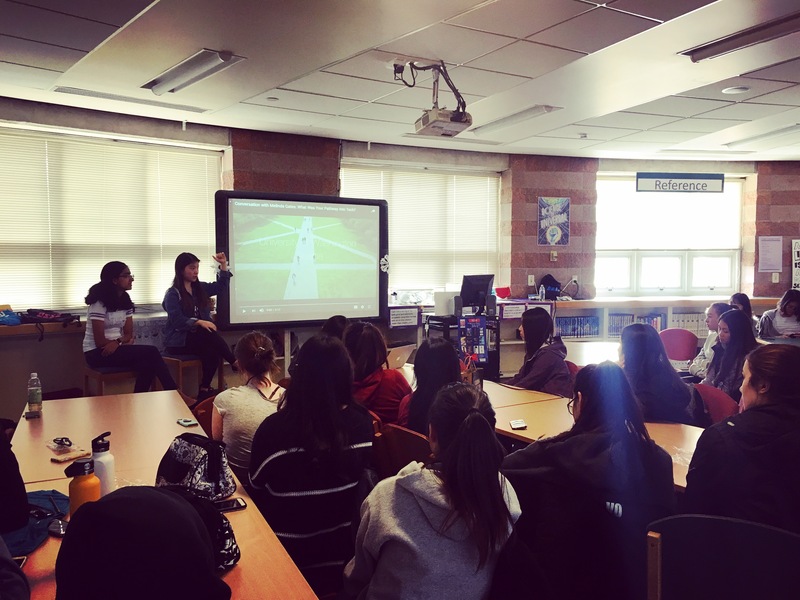 By showing them possible career trajectories in tech, paired with the stories and experiences of women currently majoring in and working in tech, the Roadshow helps break down any barriers between young women and their enrollment in computer sciences classes. Every TUNE House Roadshow includes a panel discussion with at least two TUNE House scholars. The scholars’ stories are relatable to middle and high schoolers because the panelists remember what it was like to be in the students’ shoes not long ago . Throughout the presentation, the scholars share stories of victories, challenges, mentors, internships, and opportunities that have helped them get to where they are today. A coding demonstration given by the panelists gives the students insight into how programming works, what code looks like, and demonstrates the autonomy and ability to transform an idea into a working project. One thing you’re guaranteed to hear during a roadshow is there isn’t a cookie cutter path when it comes to discovering a passion for technology. As the TUNE House scholars share, many of them didn’t discover their passion for tech until high school or college, or most learned about it because their friend encouraged them to take a class with them. Discovering and building one’s own path to technology is exactly the conversation Melinda Gates had with the scholars during her visit to the TUNE House in the summer of 2017. 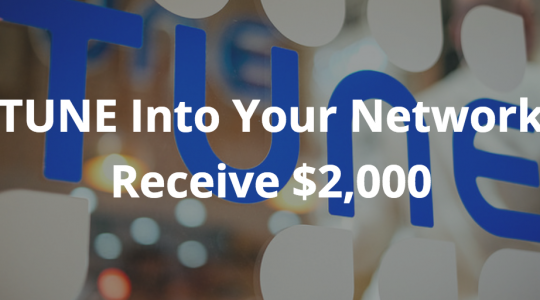 Timing can play an important role when discovering new opportunities. In this case, timing helps us measure the effectiveness of the TUNE House Roadshow by visiting the school right before class registration. Our ultimate goal is to encourage each and every student to register for one of the technology classes offered by their school. Next time your daughter asks you what class she should take, encourage her and her friends to try a computer science class. Share concrete examples on how technology can be applied to numerous fields. 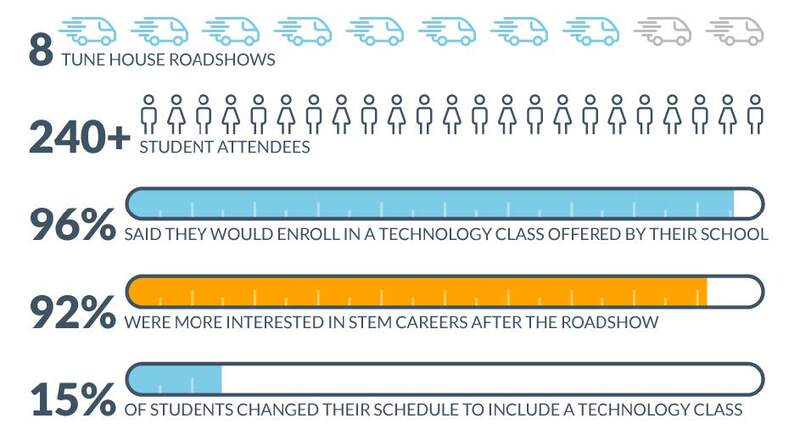 Better yet, encourage them to join a Girls Who Code program, attend an Ignite Worldwide class field trip, become a TEALS school, start a tech club or have the TUNE House Roadshow visit. These are just a few ways to encourage future female technologists to uncover hidden passions. 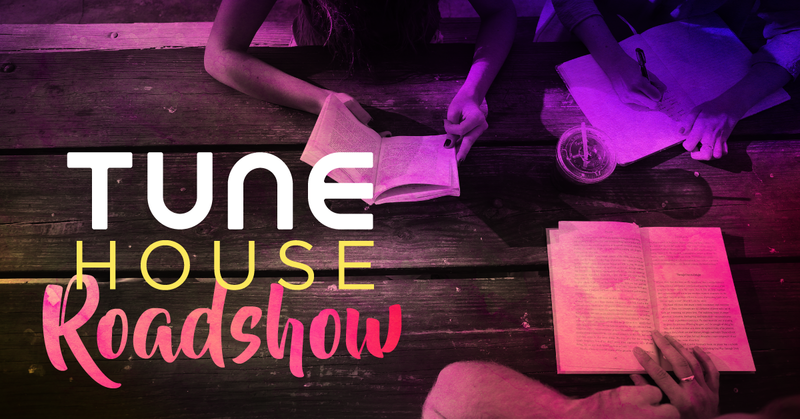 If you’re interested in having the TUNE House Roadshow visit your daughter’s school, please reach out to us at [email protected], or if you would like to learn more about the TUNE House, visit the TUNE House website.